Barry Krisberg joined Berkeley Law’s Center for Criminal Justice in January as a distinguished senior fellow and lecturer-in-residence. A well-known researcher and advocate for juvenile-justice reform, he served as president of the National Council on Crime and Delinquency for more than 25 years (1983-2009). Krisberg has been tapped by state governments and the U.S. Department of Justice to investigate and monitor aspects of the correctional system. He led the 2003 investigation in California of what is now the Division of Juvenile Justice. After the panel issued a devastating report, Krisberg was asked to help monitor state compliance with the resulting consent decree, a role he continues to play today. My dad ran the proverbial New York City candy store, in Brooklyn, N.Y., and a lot of the local gangsters used to hang out, back in the ’50s, and I found them interesting people. I knew them in a multi-dimensional way. This store was in Coney Island, so our clientele were the people who worked in the amusement areas but lived nearby. I got to know people who were in the carnival business, even some who were in the freak shows in Coney Island. These early experiences helped me to be more accepting of people from different backgrounds than my own. I went as an undergrad to the University of Pennsylvania, where I had the incredible opportunity to study with two leading American criminologists — Thorsten Sellin and his student (and ultimately my mentor) Marvin Wolfgang. I didn’t go to Penn with the idea of becoming a criminologist. But I fell in love with these people and the subject matter. The late 1960s and early 1970s was a period of major U.S. Supreme Court cases on criminal justice and the growth of new federal justice programs. Penn professors were deeply involved in those efforts, and they included students in that legal work. We learned that research and ideas mattered, that intellectual capital could support social change. For my doctoral dissertation I ended up studying gangs in west Philadelphia. For about a year, I followed 22 gang leaders — trying to understand who they were and what their lives were like — and I got hooked even more. People are complicated. Somebody could be a very dangerous person, but also be someone’s child, or the father of a baby. You can know someone has done very bad things, but understand him or her in a more holistic way. I’m a problem solver, not a litigator. My degrees are in sociology and criminology. One of the ways I’ve been able to contribute is by serving as a bridge, giving voice to people — some of them angry and hostile — who need to be heard. I’m able to go into a room, close the door, not be afraid of people who are locked up, really listen. And then try to explain who they are, and what they’re going through, to people who don’t come from that world. I have also worked hard to translate often complex research findings to the media, elected officials, and practitioners. And I often work with juvenile justice and criminal justice agencies to make positive changes. For the last seven or eight years I’ve been heavily involved in juvenile-corrections litigation, usually as an expert witness or a court monitor. So I’ve been learning more about law and becoming really interested in how it can bring about change. All that has pushed me toward an association with a law school and law students. I teach one class a semester at Berkeley Law on topics such as prisoner re-entry or race and criminal justice. I’m also trying to help make the Berkeley Center for Criminal Justice a nationally known resource for criminal-justice research. A. We’re actually in a good place at the moment, I think. Crime is way down nationally and in California, and there isn’t support for building new prisons or expanding corrections. Recent opinion polls show that the public opposes most cuts in public spending, but does support reductions in prison budgets. Our terrible financial crisis may be giving rise to smarter policies. For juvenile justice, it’s an interesting time. Both nationwide and on the state level, the number of kids (ages 12 to 18) who are locked up is substantially down. 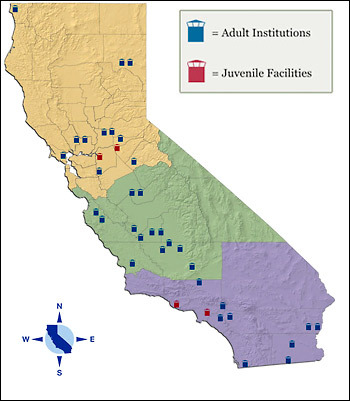 In 2004 there were roughly 7,000 inmates in California’s youth prisons; now there are about 1,400. There are fewer than 800 youth locked up in New York State today. Most of the major states are reducing the number of kids in custody. A. Fewer kids are being arrested, but also states are relying less on residential care and more on home-based alternatives — keeping kids at home with their families. Part of that is fiscal imperative: in California it now costs about $250,000 a year to lock up a young person in a youth prison. Around the country the figure is in the range of $175,000 to $200,000 a year. A. Way more. In California we spend about $50,000 a year per adult; it costs about five times more to keep a youth in 24/7 residential care, and about $75,000 a year to put a youth in a group foster home. Public officials who are trying to reduce huge budget deficits are now asking “what could we buy for a family for $50,000 a year?” If we were to help pay for therapy, counseling, rent — what is called “wrap-around services” — could we get better results for less money? Litigation challenging the constitutionality and lawfulness of adult and juvenile corrections has increased significantly; the legal pressure is forcing change. In juvenile settings, there’s additional law to hang your hat on. If I go into a youth prison as part of an investigation, I can ask a whole series of questions. Are the youth getting mental-health and special-education services? Are they getting tested and diagnosed? Are they getting basic education that all students are entitled to? The courts have decided that youth under the jurisdiction of the juvenile court have a right to treatment and rehabilitation. You can operate an adult prison system where the sole purpose is punishment. But the legal standards for youth are much higher in terms of humane care. Q. In trying to rethink crime policy, isn’t part of the challenge that the public conversation about crime is so charged? A. Extremely charged. The last time this country had a rough consensus on criminal-justice policy was probably the late ’60s. On President Lyndon Johnson’s crime commission you still had Republicans and Democrats, conservatives and liberals, essentially agreeing on what reform should look like. But then Barry Goldwater began campaigning on a promise to restore law and order. Use of the crime issue to fuel political campaigns became especially important in California, where Ronald Reagan and Ed Meese deeply politicized criminal justice. Almost every aspect of California politics has been dominated, for 40 years, by fear about crime and allegations that the “other candidate” is too soft on crime. Crime is an issue where there’s a lot of money at stake — around the country, $100 billion a year is spent on criminal justice — and one where it’s easy to push fear buttons. That’s why it’s so important for universities to feed factual information into the public conversation — so that people understand what’s true and not true, as opposed to exaggerations propagated often by the media. A. It’s estimated that over a 10-year period, more than 90 percent of our adult California prisoners will be arrested again or be returned to prison or jail. So we’re talking about a system that has a huge failure rate. Why do some people stop offending? The research shows that a big factor is employment — to come out and have some financial stability. (And of course that’s related to literacy.) Another crucial factor is family connections. Those inmates who stay connected to family members do substantially better upon release. A third is transitional housing. In the last several years we’ve seen a growth of homelessness among formerly incarcerated people, both adults and youth. Providing housing for the first 90 days after release is critical — making sure that nobody leaves prison with just $200 in their pocket and no place to go. Q. Hasn’t the Department of Corrections and Rehabilitation been laying off education and rehabilitation staff — the people who, among other things, help inmates with literacy and job-readiness skills? A. Yes, and that’s very short-sighted. But it speaks to the politics. Lowering the salary of prison guards or reducing the number of law-enforcement people — that’s tough because they have powerful unions. It’s a lot easier to attack the prison staff who provide education or counseling. Or what about getting rid of waste and abuse? Our correctional system in California is a hugely bloated bureaucracy, whose biggest job growth over the last 10 years has been the central office staff in Sacramento — many of them paid a lot more than most UC professors. More than 10 percent of the State General Fund goes to corrections. We spend more taxpayer dollars on prisons than on the University of California and the California State University systems combined. Locking people up is a major enterprise in California, and one that’s tough to downsize. A. Yes. Back in 1980 when Jerry Brown was governor, there were about 30,000 people in California prisons, roughly the same as in Texas and New York. So here we are 30 years later: California has more than 170,000 prisoners; New York has about 65,000. We have more prisoners than Texas by a substantial amount. We’ve built 32 new prisons since the early ’80s — and yet they’re still jammed to the rafters. There are Southern states with higher rates of incarceration, but there’s no state where the numbers of people incarcerated has grown as dramatically in recent years. It’s very important to remember that these high incarceration rates are not related to public safety. New York State over the last 10 years has experienced the largest reduction in crime in the country. Not because it “got tough” on crime by locking up the criminals. It reduced its prison population during that time, and has a much lower imprisonment rate than California. The California county that has seen the most significant decline in crime in the past decade has been San Diego — which has a very low incarceration rate compared to other counties. It’s been sending fewer people to prison, not more. Some believe that if we send more people to prison, we’re safer. It’s just not true. A. Laws and policies. It isn’t that California has more crime than other places. It’s that we have harsher sentences. We keep people longer. We have the highest parole failure rate in the country — meaning we send a huge number of parolees back to prison for violating the rules of parole, not for new crimes. Other states use community-based options for parolees who miss appointments or fail routine drug tests. California has chosen this unique path of ratcheting up incarceration — way beyond any other state — and it’s paying the price. California State prisons at Avenal and Centinela. A. That’s a difficult question, given the politics of this issue, the strong influence of the prison guards’ union, and the private prison industry, and the continued dominance of fear-based politics. What’s been referred to as a correctional-industrial complex — consisting of prison workers, the people who sell products to prison systems, and the growing private-prison industry — that’s a very powerful force. Which makes backing away from our current policy extremely difficult. 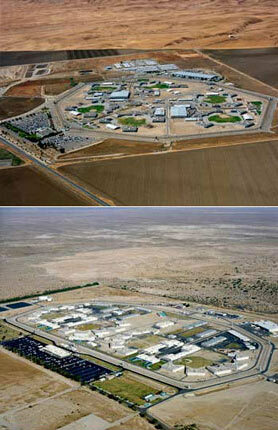 If tomorrow we were to close five California prisons, they would probably be in rural areas. Local vendors and trades people would be stuck. It would cost those communities an extraordinary amount, going well beyond those who work inside the prisons. In a sense, prisons in California have augmented agriculture as a major part of the rural economy. Q. We’ve talked about failed policies. What’s your prescription for a better approach to crime?A. We can’t simply arrest our way out of community challenges such as gangs, violent crime, or drug addiction. We need a much more comprehensive approach. Nowadays people are starting to think about a public-health response — treating these issues and behaviors just like we do AIDS or TB or a broad range of contagious diseases. The popular singer Sting is launching a national campaign to call off the war on drugs. That’s what we need, for prominent people to step up and say the military-style approach hasn’t worked. But not just professors — it’s got to be people who have more currency in terms of public opinion. Q. What is the media’s role in shaping public opinion around crime? A. If we could get more realistic and effective reform themes in the mass media, we would see significant change. I think back to Toni Morrison and her idea of “othering.” So much of our criminal-justice policy is driven by othering — magnifying the differences between those people and us, their children and our children. The mass media can help people get past false divisions and stereotypes. There was a very famous and important episode of All in the Family, in which Archie Bunker finds out that the guy he’s hired is a parolee. It allowed us to rehearse our own emotions, by watching Archie go from fear to acceptance. More recently, The Wire was extraordinary in terms of its complex, multilayered understanding of these problems. Law and Order is often very good. But then you’ve got America’s Most Wanted, which exaggerates the amount of child kidnapping, and To Catch a Predator. And Cops — a nightly reality TV show that overwhelmingly reinforces the idea that criminals are black or brown — further feeding the racial fear that undergirds a lot of our criminal-justice policy. A. As a reformer I’ve come to the position what’s most promising is to start at the local or community level. If I’m sitting down with the key people in almost any community — the police chief, school superintendent, mayor, health officials — and we’re talking about how to reduce violence, we’re going to come up with reasonable, pragmatic ideas. The key is to then get state and federal officials to hear and act on the common-sense and research-based ideas coming up from the local level and research community. A. Criminal-justice reform is a marathon, not a sprint. The struggle for justice has been going on for a long time, and will go on far into the future. So what’s critical is to identify the next generation of leaders. When I look out on a classroom here, I’m not only looking at students who are bright, focused, and committed. I’m looking at future judges, prosecutors, defense lawyers, governors, and legislators. These students are the ones who are going to fundamentally change things. And they may need to consider completely different approaches to reform than have been tried in the past. Places like Berkeley Law can serve as catalysts for needed changes — simply by bringing people together to share good information. The law school can serve as a gathering place, where academics and practitioners of diverse opinions and ideas can sit down together and have civil conversations — hopefully rooted in facts and research.